The so-called “refugee crisis” prompted the urge to ensure the functioning of the Schengen area and the Common European Asylum System (CEAS), the need to operationally assist those Member States most affected by the sudden and extraordinary arrival of mixed migratory flows, and the convenience to effectively and uniformly implement the European Union (EU) measures adopted in regards to migration, asylum and border management matters. 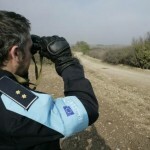 Among the foremost measures put forward at the EU level to cope with this implementation deficit was the creation of the European Border and Coast Guard (EBCG) and the European Union Agency for Asylum (EUAA), the reinforcement of EUROPOL’s mandate, and the promotion of their operational inter-agency cooperation on the ground through the “hotspot approach”. 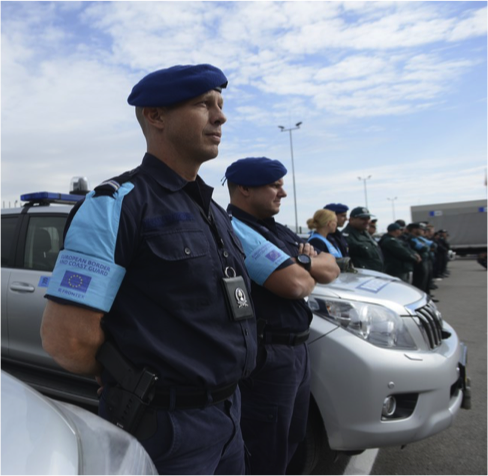 In 2016 EUROPOL’s mandate was strengthened, FRONTEX was transformed into the EBCG, and the European Commission put forward the creation of the EUAA. Although a partial agreement on the future EUAA has already been reached between the Council and the European Parliament, the Regulation repealing EASO has not yet been adopted. The new legal frameworks shift the reasoning of these agencies’ powers and move from a reactive to a proactive approach. That is, their operational tasks shall not only center on assisting the Member States and enhancing their coordination, but also preventing potential national vulnerabilities that may subsequently lead to an untenable scenario for the competent national authorities. 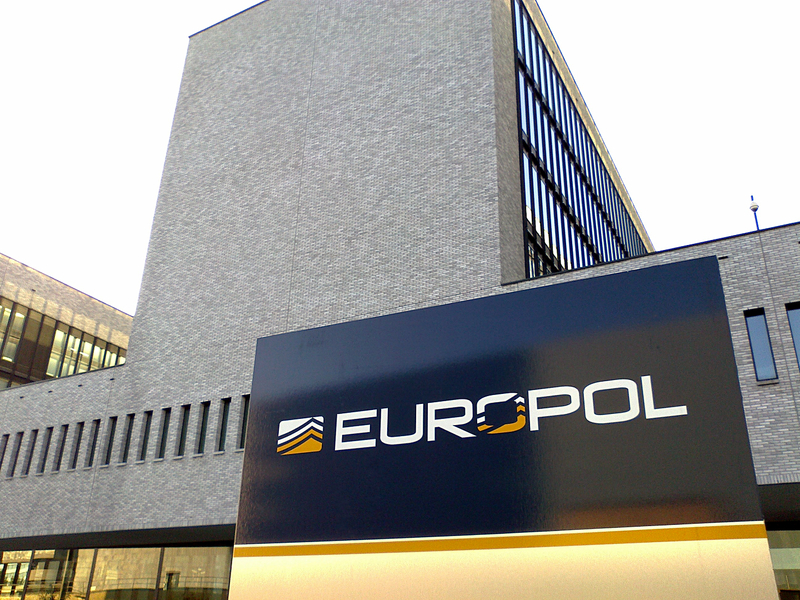 Regulation 2016/794 vests a nascent operational role to EUROPOL by determining that the agency may facilitate the investigation’s information exchange, provide extensive analytical support, deploy its mobile offices, and exchange in real-time and immediately cross-check against EUROPOL’s databases the information gathered. In addition, on 22 February 2016, EUROPOL launched the European Migrant Smuggling Center (EMSC). This center aims to proactively support EU Member States in dismantling criminal networks involved in organized migrant smuggling. 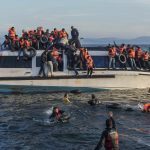 The recently established EBCG and the future EUAA may require the competent national border and asylum authorities to effectively implement EU law and to take immediate action under emergency situations. 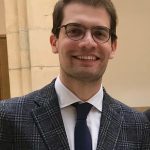 The EBCG and the EUAA may even intervene in the territory of the Member States to ensure that the EU border management and asylum measures are applied, and that the Schengen area and the CEAS are not ultimately jeopardized. In particular, Regulation 2016/1624 delegates the EBCG greater technical and operational competences. The EBCG may acquire its own technical equipment and have a Rapid Reaction Pool of at least 1,500 border guards to be deployed immediately in joint operations or rapid border interventions. Significantly, the EBCG is also empowered to monitor the effective functioning of the external borders of the Member States, carry out vulnerability assessments, verify whether a Member State is able to effectively enforce EU law and detect deficiencies in the management of its borders. The future EUAA will be in charge of organizing and coordinating the appropriate operational support in cases where the national asylum and reception systems are subject to exceptional pressure. An asylum reserve pool of a minimum of 500 persons should be made available by the Member States for their immediate deployment and should assist those national authorities subject to extraordinary migratory pressure. Another significant novelty in comparison to the EASO will be the involvement of the future EUAA in the examination of international protection applications. This means that, while decisions on individual applications for asylum remain the Member States’ sole responsibility, the future EUAA, upon the request of a Member State, will be able to draft decisions on asylum applications. Moreover, as a result of the “refugee crisis” of unprecedented dimensions, the European Commission adopted on 13 May 2015 the European Agenda on Migration. The Agenda aimed to design a common strategy in which the Member States, the EU institutions, the Area of Freedom, Security and Justice (AFSJ) agencies, international organizations, civil society, local authorities and third countries are all involved in a coordinated manner. Among all these actors, FRONTEX, EASO and EUROPOL were mandated to play a key inter-agency operational role at the hotspots. In the hotspots, EUROPOL’s guest officers are in charge of identifying risk profiles, performing second-line security checks, and providing analytical and investigation support to dismantle smuggling and trafficking in human beings networks. EUROPOL’s officials, jointly with the EBCG and the concerned Member State, also debrief the arrived migrants at the hotspots. EASO assists the national asylum authorities by informing the arriving migrants, as well as identifying, registering and relocating applicants for international protection. The experts and technical equipment deployed by the EBCG in the hotspots facilitate national sea border surveillance and search and rescue operations. 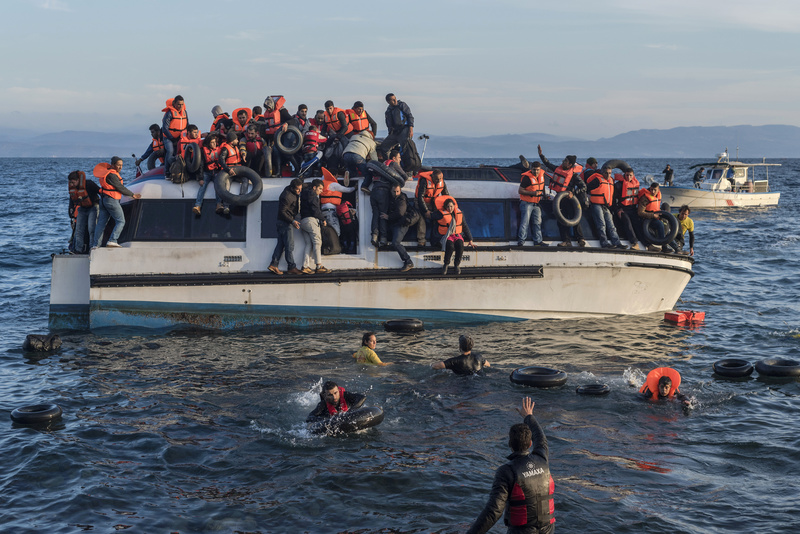 The EBCG also assists the national authorities in disembarking, screening, registering, identifying, fingerprinting, debriefing and assessing the nationality of the arriving migrants, as well as facilitating and coordinating the return operations of those migrants with no right to remain in the EU. Despite the secrecy surrounding the specific functions and the extent of the hands-on support that FRONTEX, EASO, and EUROPOL develop de facto in the hotspots, these agencies notably strain their vague legal mandates, and their operational tasks go well beyond the pure technical assistance and promotion of coordination. Firstly, article 5 Regulation 2016/1624 on the EBCG states that Member States “retain primary responsibility for the management of their sections of the external borders” and that “the Agency shall support the application of Union measures relating to the management of the external borders by reinforcing, assessing and coordinating the actions of Member States in the implementation of those measures and in return”. 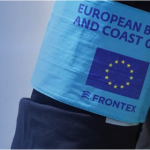 However, FRONTEX, in practice, aids in determining the nationality of the disembarked or rescued migrants, and exerts a crucial influence over the Greek officials, who, due to the extraordinary migratory pressure they are subject to, may in practice base their final decision entirely on FRONTEX’ assessment. FRONTEX’ strong recommendatory powers may have a very significant effect on a potential incorrect registration regarding the nationality of an irregular migrant, since a nationality screening largely determines and directly impacts the subsequent procedures of relocation, asylum, and return of the irregular migrants in the hotspots. Secondly, according to article 4(1)(c) Regulation 2016/794 on EUROPOL, the agency shall “coordinate, organize and implement investigative and operational actions to support and strengthen actions by the competent authorities of the Member States”. Whereas EUROPOL’s primary mission shall center on exchanging information and generating criminal intelligence, under the hotspot approach the agency also deploys guest officers on the ground, conducts second-line security checks, participates in debriefing the arriving migrants, and through the EMSC, operationally supports the competent national enforcement authorities in their investigations. Despite EUROPOL’s operational role, in the recently adopted Regulation of EUROPOL there is not a single mention of this agency’s operational powers in the hotspots. Hence, the total secrecy surrounding the operational support of EUROPOL in the hotspots and the lack of any legal reference to the activities of the agency on the ground prevent the general public from assessing the actual implications, meaning, and extent of EUROPOL’s operational support. Lastly, Regulation 439/2010 of EASO indicates that the agency “should have no direct or indirect powers in relation to the taking of decisions by Member States’ asylum authorities on individual applications for international protection” (recital 14). Nonetheless, EASO primarily focuses on informing the irregular migrants of asylum and relocation procedures and facilitating the analysis of asylum applications to the national authorities in the Italian hotspots. However, since the adoption of the EU-Turkey statement and the Greek Law 4375/2016, the agency is also in charge of registering and conducting the interviews of the applicants for international protection in the Greek hotspots. In addition, while EASO is conducting asylum interviews, it also identifies vulnerable cases and forwards them to the Greek asylum office, which ultimately confirms the existence of such vulnerability. EASO’s assessment of vulnerability is not trivial, but rather carries significant consequences for the applicant of international protection. If a deployed expert of EASO, who is undertaking an asylum interview, does not identify or wrongly classifies an applicant as non-vulnerable, the case will follow the fast-track border procedure, which provides fewer guarantees.In other words, until the future Regulation on the EUAA enters into force, the agency’s power to autonomously conduct the asylum interviews and draft an admissibility recommendation to the Greek Asylum Service will openly exceed the initial mandate of Regulation 439/2010, establishing EASO. The experts deployed by EASO in the Greek hotspots are operating in a legal limbo, in which it is unclear as to the extent of their specific operational responsibility and as to whether the procedural safeguards of the Greek legislation apply to them when examining the admissibility of asylum applications. 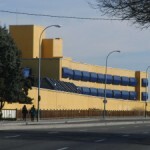 Therefore, while the Regulations of these AFSJ agencies continue to stress that their operational role is limited to providing the competent national authorities with the technical assistance they may require, the tasks of the EBCG, EASO, and to a more limited extent, EUROPOL, have a clear operational nature on the ground. These agencies gradually steer and shape the effective and uniform implementation of EU migration, asylum, and border management laws and policies at the national and local level. The reinforcement of the operational tasks and implementation role of the EBCG, EASO, and EUROPOL is not in itself an issue. What is problematic, however, is the broad formulation of these AFSJ agencies’ legal bases and the lack of transparency surrounding their operational activities and cooperation, rendering the task of determining the degree of discretion that they enjoy difficult. It thus remains to be seen to what extent EUROPOL, the EBCG and the future EUAA will openly interpret their supervisory and intervention capacity, and whether the EU rules and policies on border management and asylum will ultimately be more effectively and uniformly implemented. This entry was posted in Current Affairs and tagged EASO, EUROPOL, Frontex, Hotspots, Operational Tasks, Refugee Crisis. Bookmark the permalink.